The Friends Burying Grounds on the Centerton Road was originally part of the Daniel Wills plantation. A part of the graveyard is probably also part of an old Indian burial site. 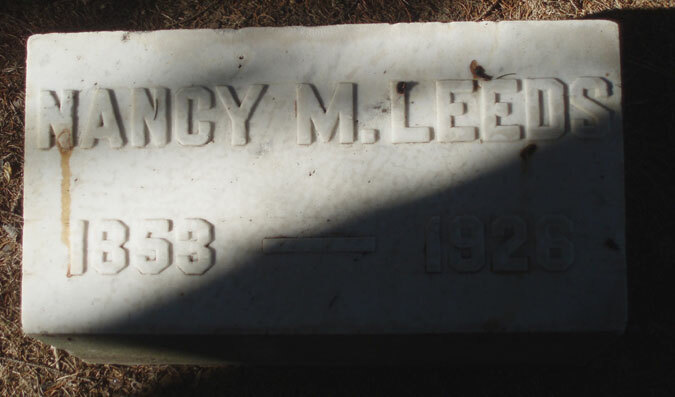 There have been several references by writers who so stated and by some closely involved persons who have said that when new graves were opened bones would sometimes be found of previous interred bodies. The following list if from DeCou’s book, The Historic Rancocas and from current records of the Rancocas Meeting. Later burials taken from a plan drawn by Charles Stokes in 1872 include: Samuel Wills, E & A Haines, Samuel Haines, Joseph Wills. The following names are from a 1967 survey by A. Russell Pettit in which he included Maurice E. Lundy’s records from 1926 to 1939 and J. Leeds Borwn’s records thereafter. Also included are the more recent burials as recorded by Frank D. Smith. 1852 1903 Baldwin, Axcy A. 1847 1872 Barryan, H. L.
1804 1880 Bishop, Edith D.
1811 1902 Bishop, Isaab F.
1895 1959 Bloomer, Robert G.
1895 1970 Bloomer, Edith S.
1850 1876 Borton, John W.
1830 1916 Borton, George B. 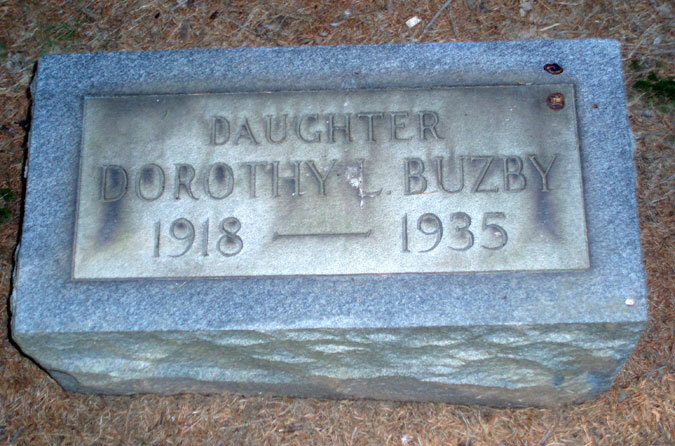 1838 1923 Borton, Susan W.
1863 1914 Borton, Frank L.
1874 1962 Borton, Alice E.
1900 1981 Borton, Mary W.
Unknown 1987 Bowker, Ernest D.
1888 1973 Burkley, Helen S.
1916 1994 Burkley, Joseph G.
1918 1935 Buzby, Dorothy L.
1890 1958 Buzby, Elgar L.
1887 1966 Buzby, Nellie S.
1863 1939 Buzby, Elizabeth L.
1861 1925 Buzby, Thomas T.
Unknown 1919 Buzby, Annie S.
1865 1950 Buzby, Walter J. 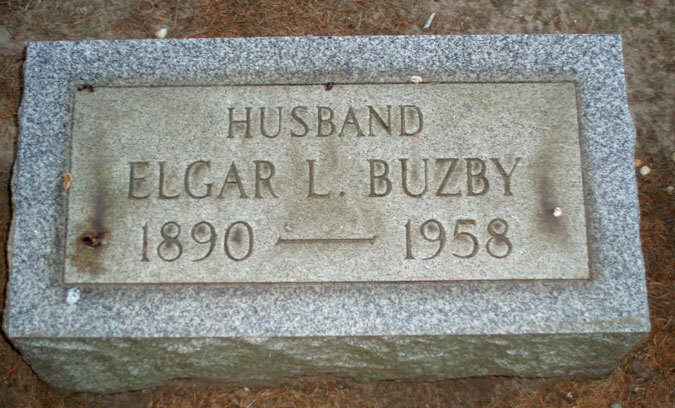 1865 1926 Buzby, Emily W.
1895 1922 Buzby, George H.
1895 1954 Buzby, Margaret H.
1921 1970 Buzby, Thomas Jr.
1897 1981 Buzby, Ellen E.
1805 1889 Buzby, Benjamin V.
1856 1891 Buzby, Lottie H.
1817 1897 Buzby, Elizabeth P.
1788 1868 Buzby, Mary W.
1921 1970 Buzby, Thomas Harvey, Jr.
1874 1961 Cotton, Rachel W.
1890 1914 Crammer, Ada H.
1881 1962 Crammer, Sarah H.
1878 1938 Crammer, Jesse E.
1899 1964 Hammond, Clarence E. Jr.
1903 1960 Hammond, Myrtle S.
1811 1881 Hansell, James S.
1879 1881 Hansell, David G.
1858 1888 Hansell, Elizabeth H.
1880 1923 Hansell, Albert Jr.
1846 1878 Hansell, Mary R.
1885 1970 Hansell, Lydia C.
1882 1971 Hansell, Amos, Sr. Unknown 1882 Harbison, Anna E.
1827 1872 Hill, Ann B.? 1803 1884 Hilyard, Joseph W.
1818 1891 Hilyard, Emeline E.
1850 1903 Hilyard, Mary E.
1845 1912 Hilyard, Jonathan H.
1853 1942 Hilyard, Susan L. M.
Unknown 1978 Houck, Lois M.
1829 1904 Hunt, Rachel G.
1894 1973 Jamison, Francis L.
1858 1933 Jones, Sarah H.
1894 1971 Janney, Ernest F.
Unknown Unknown Keen, Lizzie P.
1911 1972 Knoke, Eleanor C.
1854 1917 Leeds, Granville W.
1853 1926 Leeds, Nancy M.
1826 1901 Leeds, Jacob H.
1832 1901 Leeds, Margaret W.
1868 1921 Stokes, William J. 1896 1922 Stokes, Hilyard R.
1827 1913 Stokes, Phebe P.
1780 1853 Stokes, Elizabeth W.
1898 1968 Smith, Frank D.
1894 1974 Smith, Helen B. 1845 1929 Taylor, Hudson B. 1846 1861 Troth, Joseph E.
1825 1902 Vansciver, George W.
1827 1915 Vansciver, Elizabeth A. 1896 1963 Walker, Marjory F.
1906 1964 Walker, Gwynneth D.
1878 1969 Walker, Cora E.
1897 1977 Walker, Geoffrey R.
1866 1947 Whitney, Laura K.
1902 1962 Wiggins, Norman S.
1855 1915 Williams, Henry W.
1858 1928 Williams, Louisa C.
1882 1942 Williams, Charles R.
1882 1953 Williams, Helen S.
Unknown 1898 Williams, Robert E.
1890 1898 Williams, Joseph T.
1821 1899 Williams, Sarah W.
1857 1915 Williams, Hannah C.
1852 1943 Williams, Rachel A. 1914 1992 Williams, Charles R.
1866 1954 Wills, Robert C.
1875 1958 Wills, Caroline S.
1801 1885 Wills, Rebecca B. 1840 1884 Wills, Charles H.
1835 1922 Wills, Sallie S.
1852 1905 Wills, Sallie A. 1857 1932 Wills, Alfred S.
1848 1915 Wills, Rosalie H.
1844 1938 Wills, Howard H.
1874 1960 Wills, Cornelia S.
1871 1963 Wills, Howard Jr.
1857 1887 Wills, Anna T.
Unknown Unknown Wills, Chalkley C.
The following set is current up to August 17, 2007. 1927 2005 Cheyne, Leland C.
1931 2005 Dunfee, Marvin H.
1915 2003 Mathis, James R.
1906 2003 Pettit, Myrtle B. 1923 1997 Rowan, Betty L.
1947 1968 Rowan, James E.
1950 1978 Rowan, David S.
1915 2001 Severns, Mary T.
1910 1990, December 26 Tyler, Joseph C.
1915, March 9 2006, October 10 Tyler, Miriam E.
Nestled among the rolling, pastoral landscape and bustling towns of Burlington County, New Jersey, Rancocas Village is a historic community originally settled in 1677. 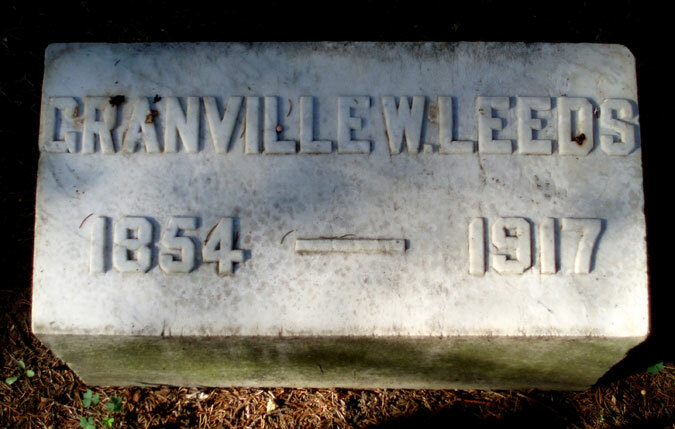 The village is home to a number of original structures, an historic cemetery and a Friends meeting and school.